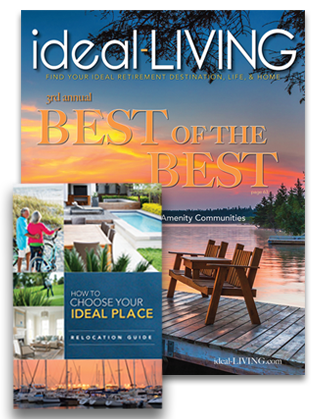 Request Your free issue ideal-LIVING Magazine. Discover your ideal home. Number one source for private communities and gated communities! This free issue of our magazine will help you. Get started on retirement. Request this magazine today. Please fill out the order form below to receive your COMPLIMENTARY issue of ideal-LIVING magazine or Choose Your Ideal Place Guide and have it mailed directly to your home!